Started in 1972, SFT Corporation began manufacturing hydraulic products for the professional and consumer markets. In 2004 the company began manufacturing for the industrial market with BVA Hydraulics. In 2009, due to substantial growth in the industrial market, the company expanded its facilities in Kansas City, MO to better service the North American market. 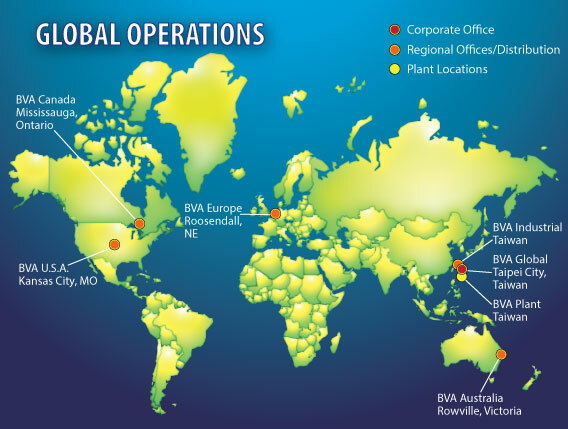 BVA has become a global presence in the industry with locations in the United States, The Netherlands, Taiwan and Australia. Dependable and reliable performance all backed up by one of the industry’s best warranties. Focusing on customer service, product innovation and a worldwide stocking program, BVA has become a solutions provider to the global industrial hydraulics market.